Gaza does not have an air force, does not have air defenses of its own, and in essence represents 2 million Palestinians trapped in what is widely regarded as an open-air prison, which is predicted to become uninhabitable in less than two years. With close to zero media coverage, particularly any analysis that is critical of the Israeli government and its policies, Israel has continued to pound the Gaza Strip with air strikes since the beginning of this year. The United States is not a passive player in this particular conflict, which shows no signs of de-conflicting in the near future. According to Human Rights Watch, the U.S. taxpayer paid to Israel $3.1 billion in military aid in 2017 alone. In January of this year, Israel’s National Security Council allegedly warned members of the Knesset’s Foreign Affairs and Defense Committee that the International Criminal Court (ICC) could open an investigation at some point this year into the 2014 war on Gaza (as well as Israel’s illegal settlement constructions). Despite this warning, Israel has continued to bombard the Gaza Strip with airstrikes, receiving little to no condemnation from the international community or the media. One needs to bear in mind that Gaza does not have an air force, does not have air defenses of its own, and in essence represents 2 million Palestinians trapped in what is widely regarded as an open-air prison, which is predicted to become uninhabitable in less than two years. 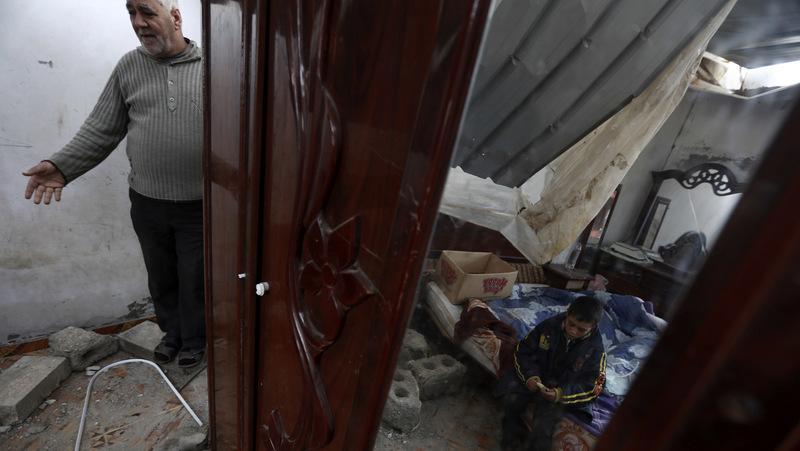 In 2014, Israel’s bombardment of Gaza led to the displacement of thousands of people. According to Human Rights Watch, there are still some 29,000 people who had lost their homes at the time and who remain displaced to this day. In early January of this year, Israeli airstrikes targeted a site in the Gaza Strip in a night-time raid, allegedly in response to Palestinian rocket fire. No substantive details were provided regarding who or what was targeted, and whether or not there were any casualties. In turn, the rocket fire from Palestinian territory, a significant portion of which was intercepted by Israel’s Iron Dome defense system, was reportedly in response to U.S. President Donald Trump’s decision to declare Jerusalem as Israel’s capital city. Even Reuters acknowledged that in the course of close to four years of relative quiet from Gaza, it is Donald Trump’s Jerusalem decision that has accounted for at least one third of Gazan-based rocket attacks. 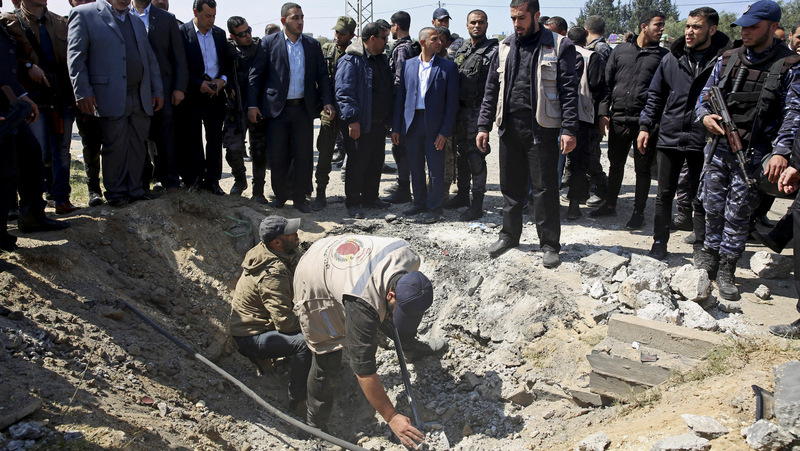 In mid-January, Israel continued its aerial bombardment of Gaza, using a combination of airstrikes and other unspecified means to reportedly destroy a tunnel stretch from the Gaza Strip and continuing into Egypt. In mid-February, Israel launched a barrage of airstrikes on Gaza, hitting up to 18 Hamas targets right throughout the weekend. At the time, the BBCacknowledged that a rocket from Gaza struck near a house in the south of Israel but that there were no casualties. When it comes to reporting on Israeli airstrikes in Gaza, there is no such scrutiny or documentation of civilian casualties. That being said, Gaza medics said they had retrieved the bodies of two 17-year-old Palestinians killed by Israeli tank fire during the incident, but these casualties were barely highlighted anywhere else, according to Reuters. Furthermore, the Israeli barrage was such that Haaretz reported Israel and Gaza were looking at the “biggest flare-up” since Operation Protective Edge in 2014, which allegedly killed over 2,000 Palestinians at the time and displaced tens of thousands more. The Jerusalem Post also warned that, according to IDF Chief of Staff Lt. Gen. Gadi Eisenkot, a war with Hamas could take place this year if the Palestinian humanitarian situation is not improved upon. This in spite of the fact that the Post also intimated that Hamas has no will to fight against the IDF after the war in 2014. Not long after this latter assault, Israel then conducted 10 airstrikes on Gaza’s agricultural land. On March 18, Israeli media reported on yet another aerial bombardment in central Gaza. This time, the strike was allegedly in response to the placement of explosive devices on the border fence. Over the past weekend, Israeli planes carried out further airstrikes in the southern Gaza strip, allegedly in response to a group of four masked Palestinians who had entered Israeli territory and attempted to destroy military equipment. Right now, the Israeli military is working on completing a security barrier, specifically designed to counter border-crossing attack tunnels that certain groups have used against IDF troops. “The IDF will continue to thwart all attempts to harm the State of Israel and will respond severely against those who wish to harm Israeli civilians,”the IDF tweeted, adding that “Hamas is held responsible for all aggression coming from the Gaza Strip. Israel is now well known for its infamous policy of assassinating people with whom it disagrees. Much like its “secret” nuclear weapons supply, it used to be the case that Israel was suspected of conducting assassination attempts throughout the world, but not that these allegations had actually been proven. Nowadays, the Israeli assassination enterprise is openly talked about without dispute, even while Israel has admittedly targeted scientists and researchers who have committed no crime of any sort. On March 14, 2018, Al-Jazeera reported that an “explosion” targeted Palestinian Prime Minister Rami Hamdallah’s convoy, wounding several security guards but leaving him unharmed. The attack occurred shortly after Hamdallah’s convoy passed through the Israeli-controlled Erez checkpoint in northern Gaza, as confirmed by an Al-Jazeera correspondent at the scene. Hamdallah was in the process of inaugurating a wastewater-treatment plant in Hamas-run Gaza, which has been battling with a water supply that is 97 percent contaminated by sewage and salt as a direct result of Israel’s brutal policies. Unsurprisingly, Hamas accused Israeli intelligence of the assassination attempt – which, may not be completely unlikely with Israel’s over 2,700 assassination attempts in just 70 years of existence as a state. It is also worth noting that the convoy had just passed through Israeli-controlled territory; as well as the fact that the White House had also just held a conference on the humanitarian crisis in Gaza that was not attended by any Palestinian officials, who had rejected the invitation. Now, no members of Hamdallah’s government are reportedly interested in making the trip to Gaza in the short term “due to the security problems.” In order to understand the true motives of the attack, one has to look at who benefits from such a scenario in order to try to make sense of the assassination attempt and its outcome. In the resulting scenario, the status quo has been maintained, whereby the Palestinian people can continue to live under harsh conditions without basic human rights such as clean water, as attempts to provide decent services to Gaza continue to be thwarted and/or disrupted. Perhaps Israel’s bombardment of Gaza, combined with its brutal blockade, criminally low flow of electricity and devastated water supply — culminating in a complete humanitarian disaster — as well as Donald Trump’s declaration of Jerusalem as Israel’s capital city, are all rooted in a desire to provoke a response from the Gaza Strip. Things are slowly but surely building up and if the situation does not materialize in a devastating conflict any sooner, the issue will more than likely explode around May 14 this year, the official date for the planned U.S. embassy move to Jerusalem — set to coincide with Israel’s date of independence, May 14, 1948. In reality, however, May 14 promises to be one of the most catastrophic events to rock the Middle East this year. On May 15, one day later, the Palestinian people will observe Nakba Day (which literally means “catastrophe”), as they do every year. For the Palestinian people, May 15 is the day that symbolizes the expulsion of hundreds of thousands of Palestinians from their ancestral homes, and it is often rife with emotion, hatred, and anger. 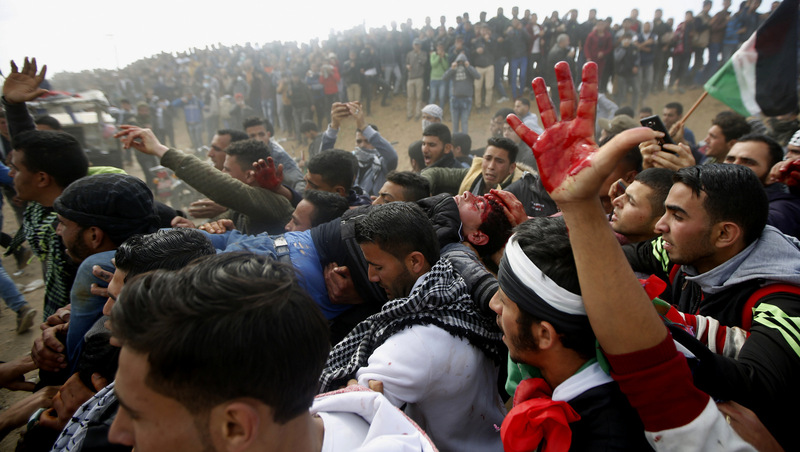 On Friday this week, IDF forces killed 12 Palestinians and injured hundreds more, who they claimed were “rioting.” This may be a worrying sign of things to come, particularly for the major protests already set to take place in May this year. While the world ignores Israel’s routine bombardment of Gaza, the truth is that there is something far more sinister on the horizon. Right now, Israel is preparing for war on multiple fronts, and a grand war may be the only thing that can save the scandalous political career of its current prime minister.